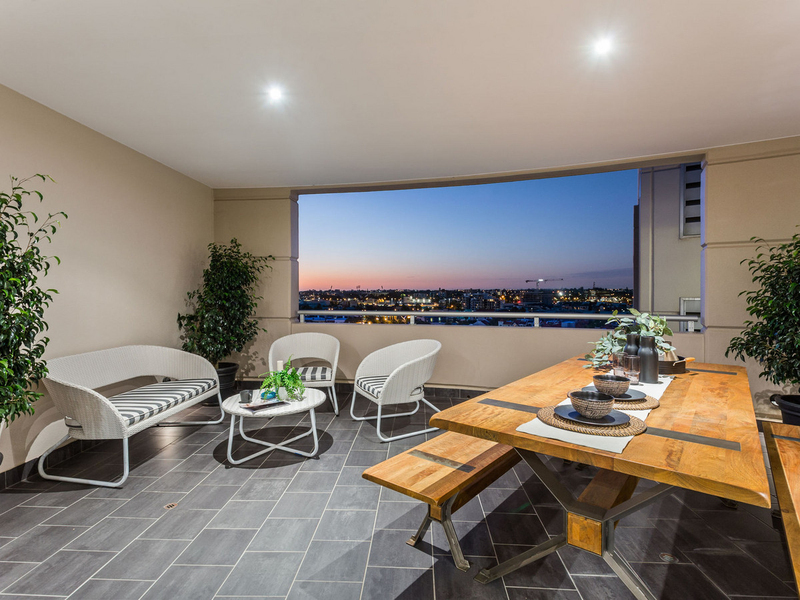 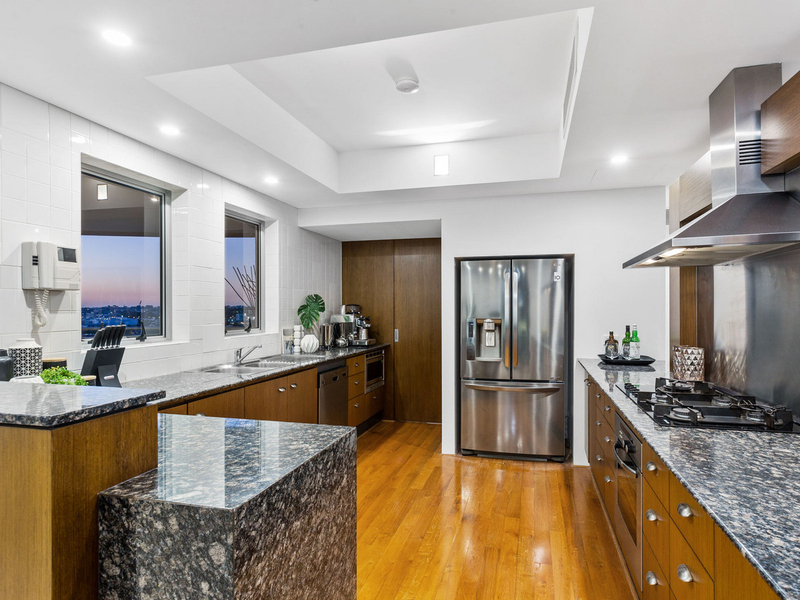 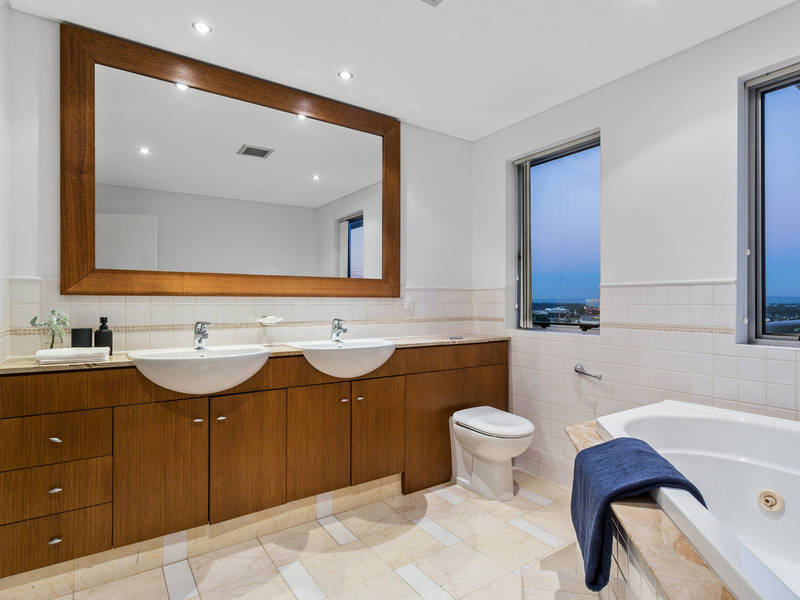 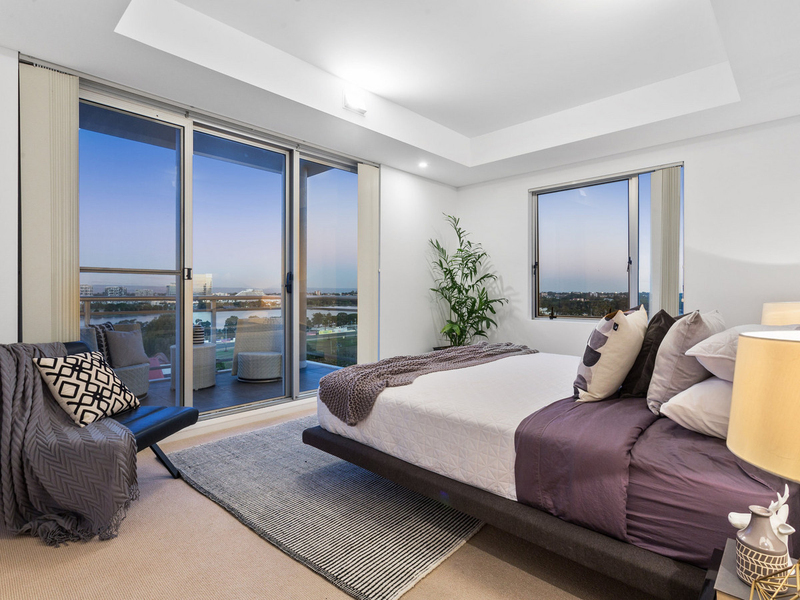 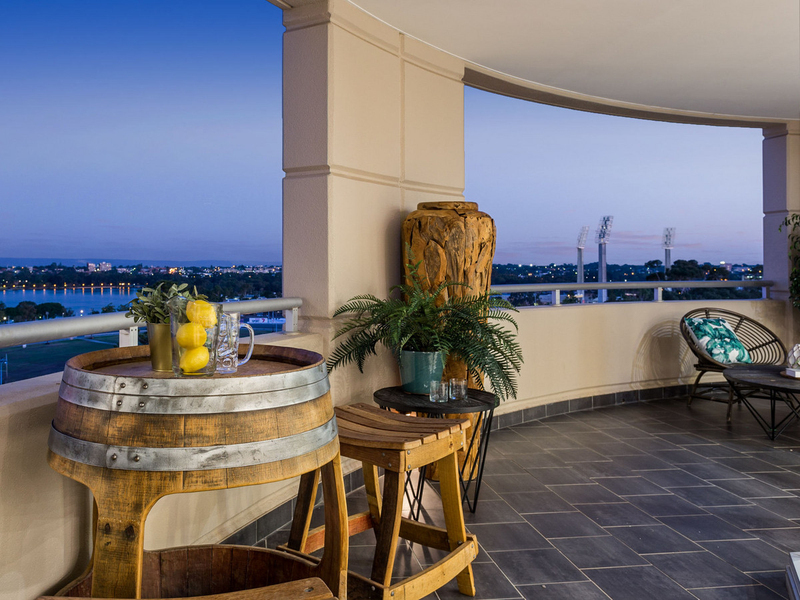 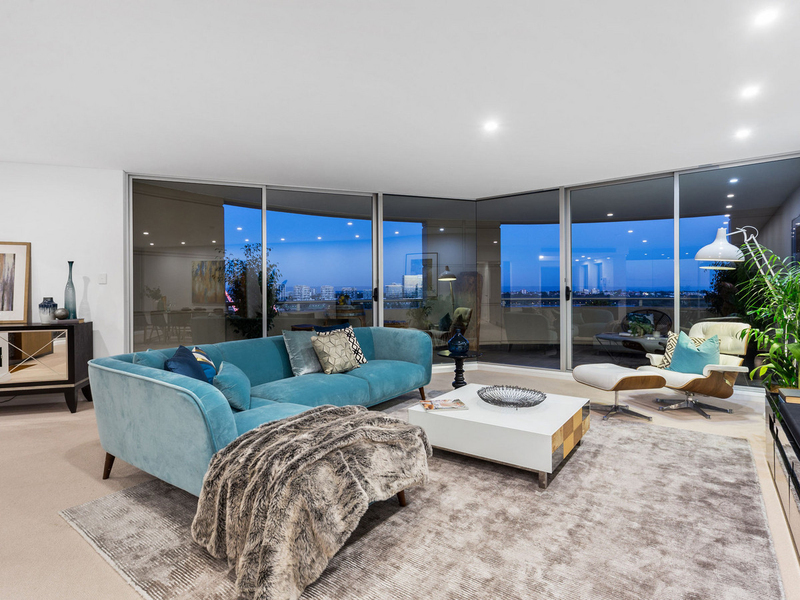 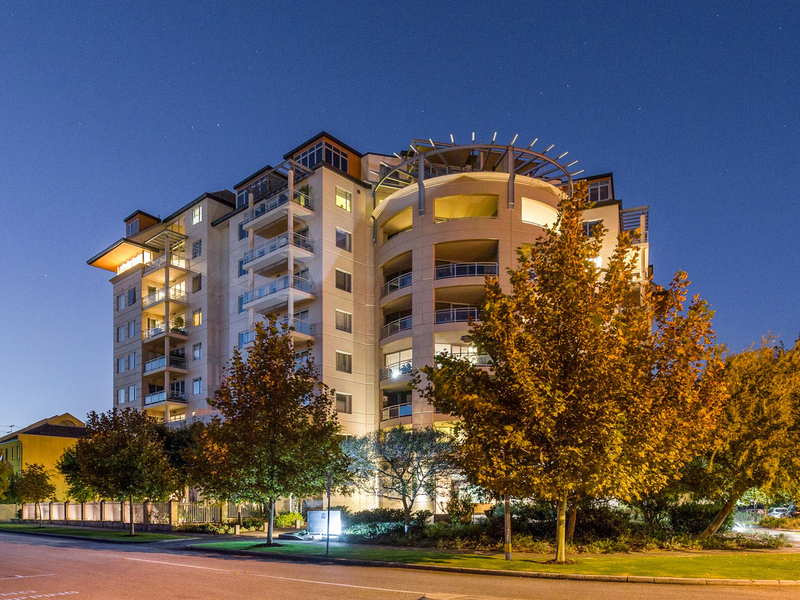 Stunningly set proudly atop East Perth within what is considered one of the city's premier addresses in the "Upper Eastside Apartments" complex, this astonishing 3 bedroom 2 bathroom sub-penthouse residence enjoys sweeping - if not 360-degree - panoramic views from almost every corner. 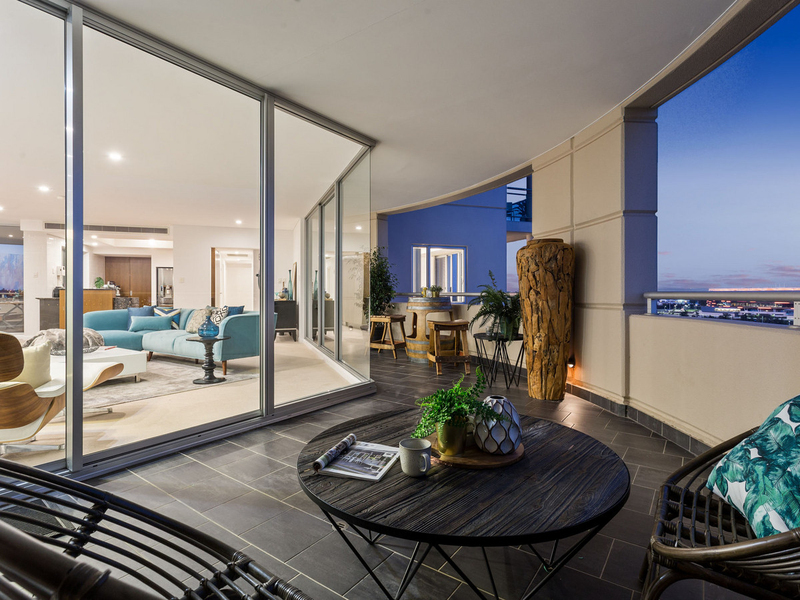 This luxurious abode boasts one of the finest examples of inner-city living for both internal and external size, benefitting from a choice of three separate balconies alone in this expansive design, with an awe-inspiring combination of northern, eastern and southerly outlooks that will soon have your realising you have got your hands on something that is anything but ordinary. 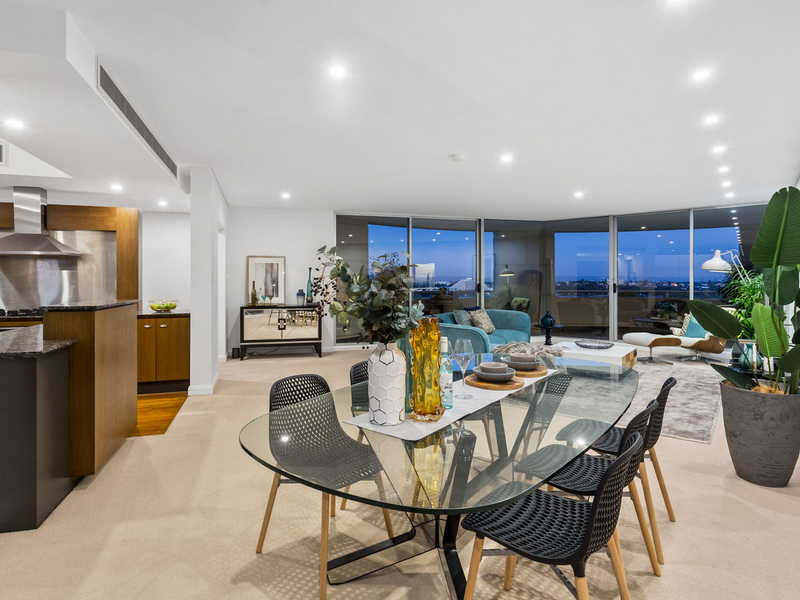 Featuring one of the largest living and entertainment zones you are ever likely to see, the overriding emphasis is on functionality and volume here with a wedge-shaped floor plan in the form of a spacious open-plan living, dining and kitchen area capitalising on plenty of natural light, as well as the soaring high above-standard ceilings offering an already grand scale. 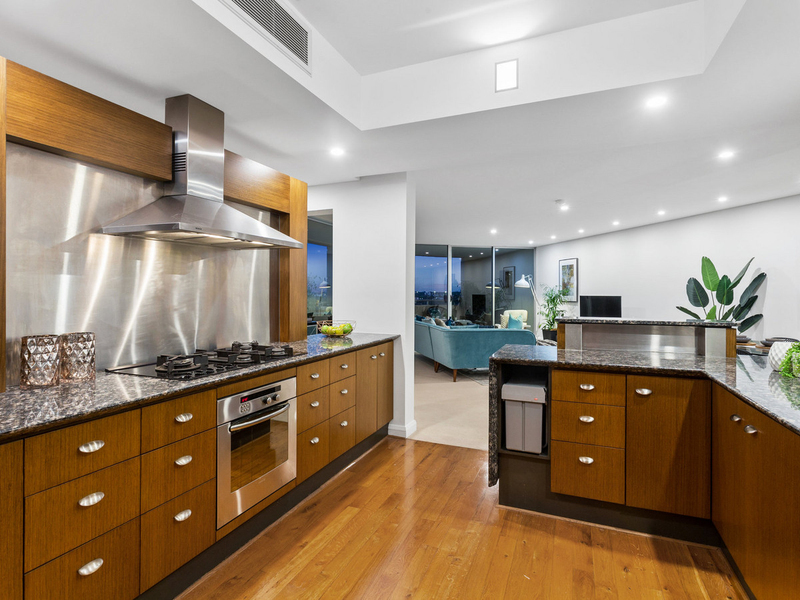 Your chef's dream of a high-end kitchen itself possesses a mixture of solid granite bench tops, timber panelling, ample cupboard space, workable bench areas, deluxe Miele gas cooktop, oven and range-hood appliances and a matching stainless-steel splashbacks, also seamlessly connecting to the adjacent dining space for good measure. 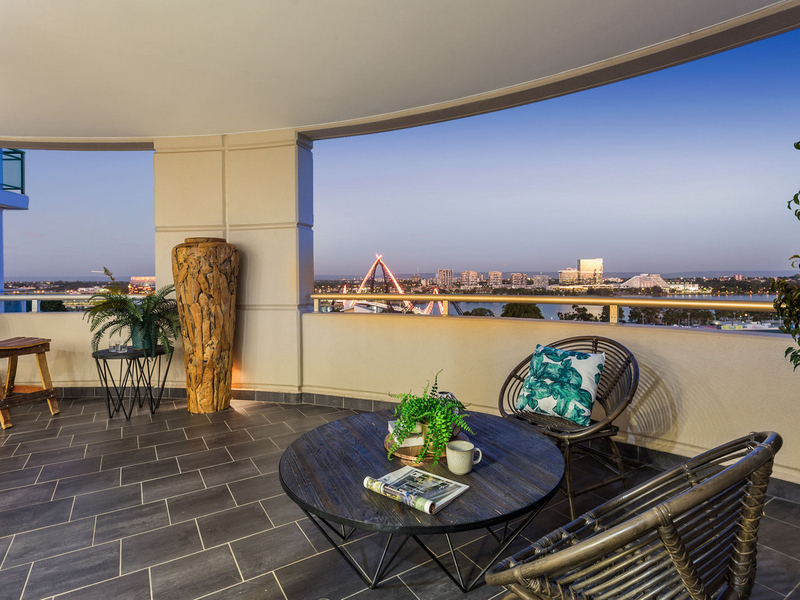 The extensive incorporated living area separates both main balconies from each other, providing you with multiple all-weather entertaining options that truly feel more like an extension of the interior if not anything else. 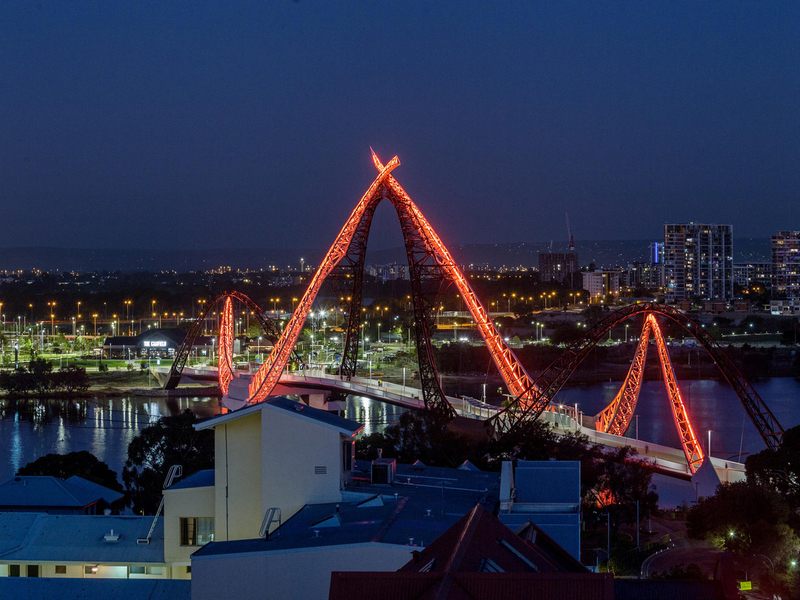 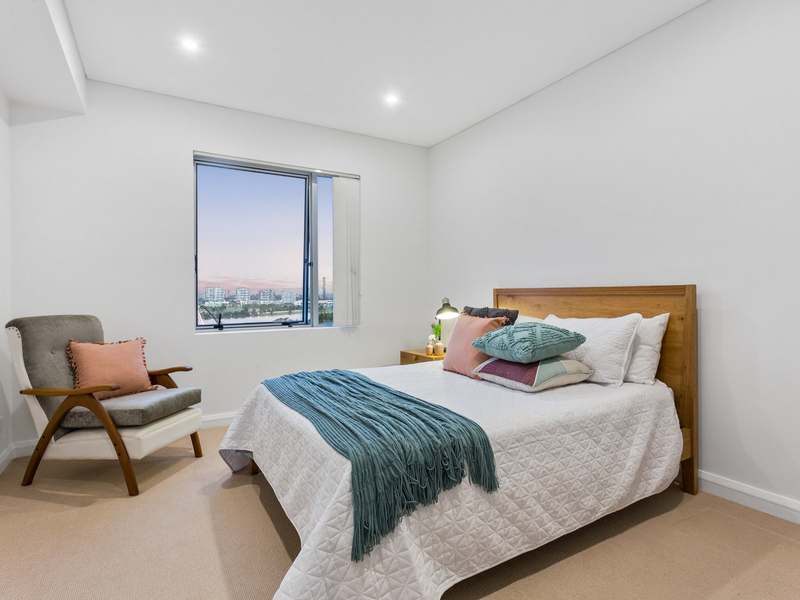 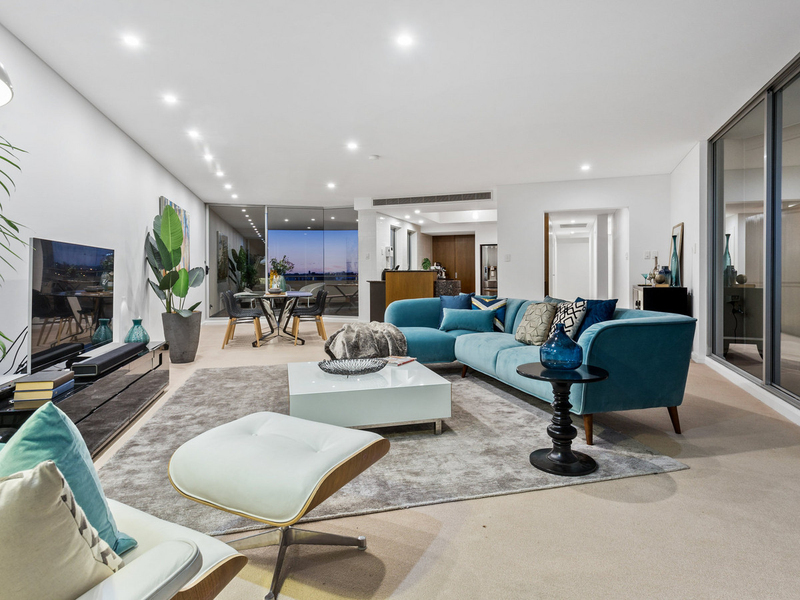 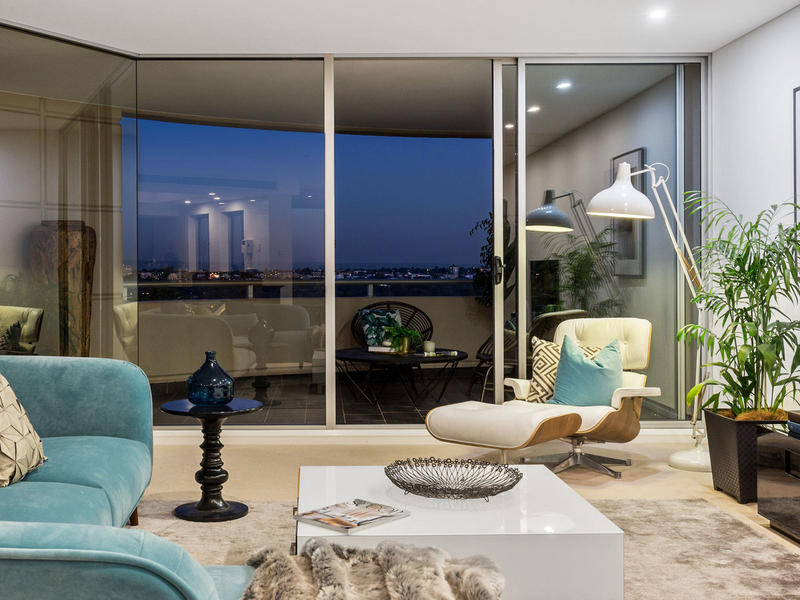 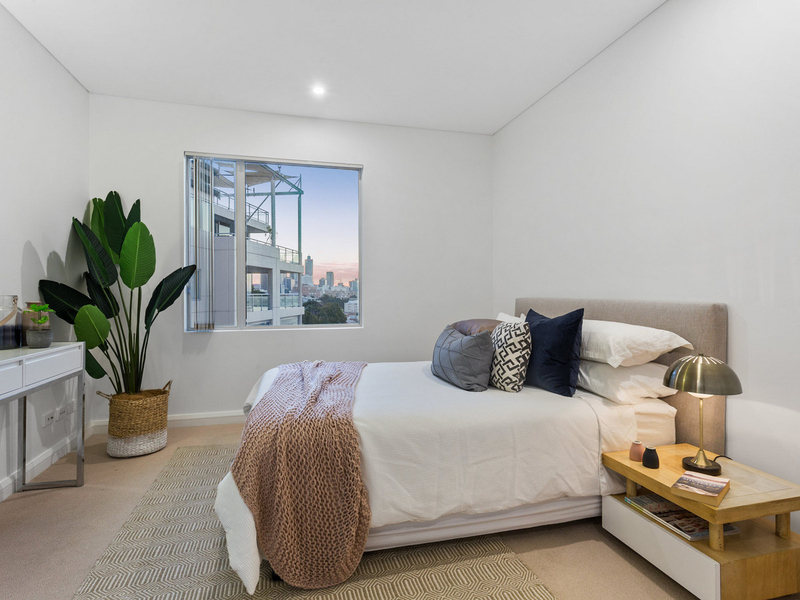 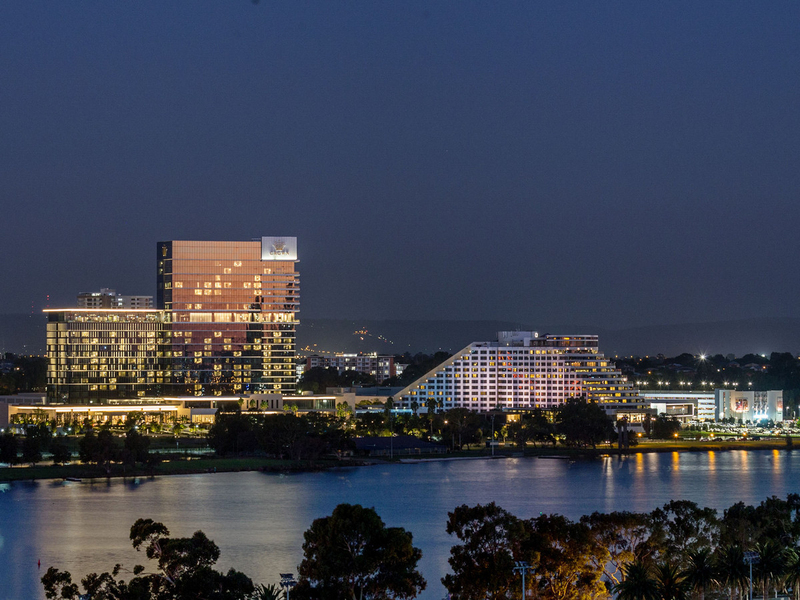 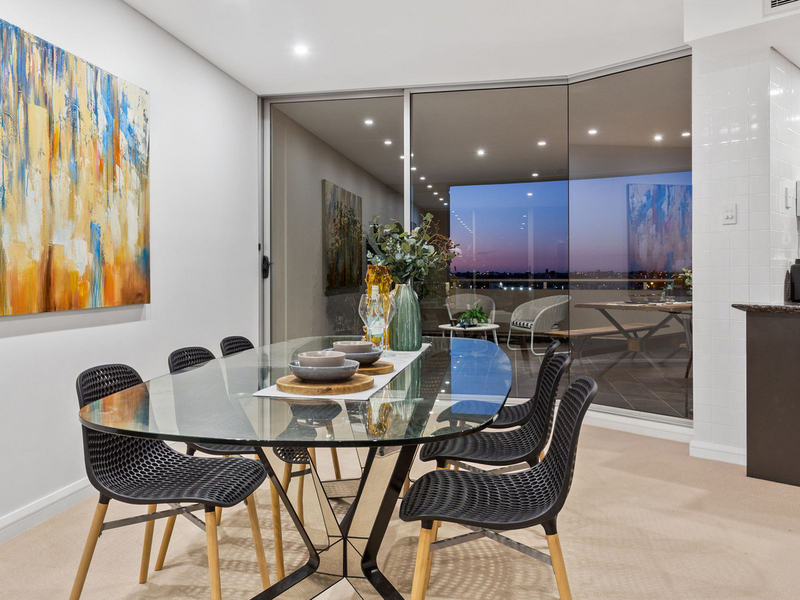 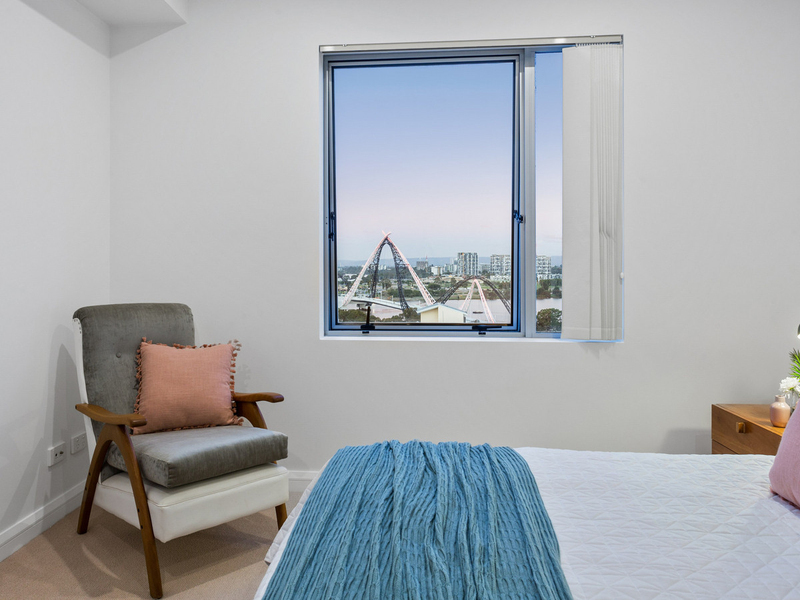 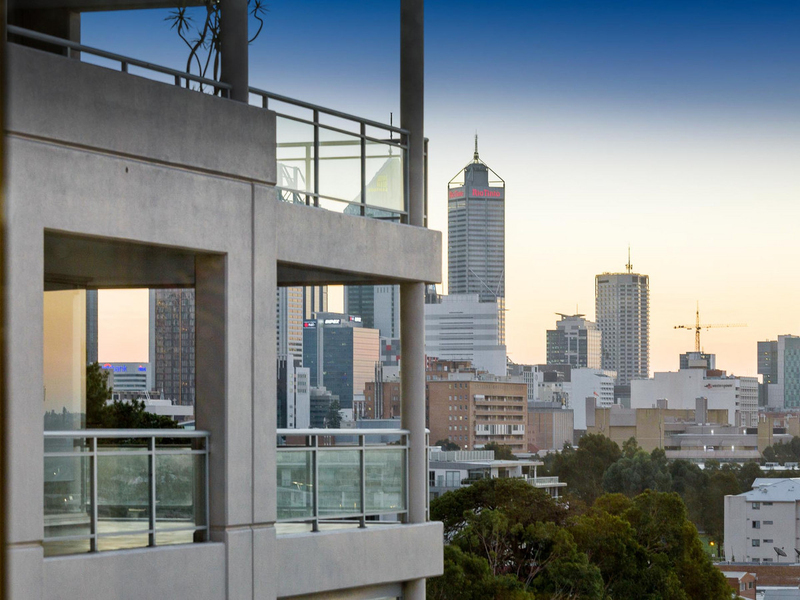 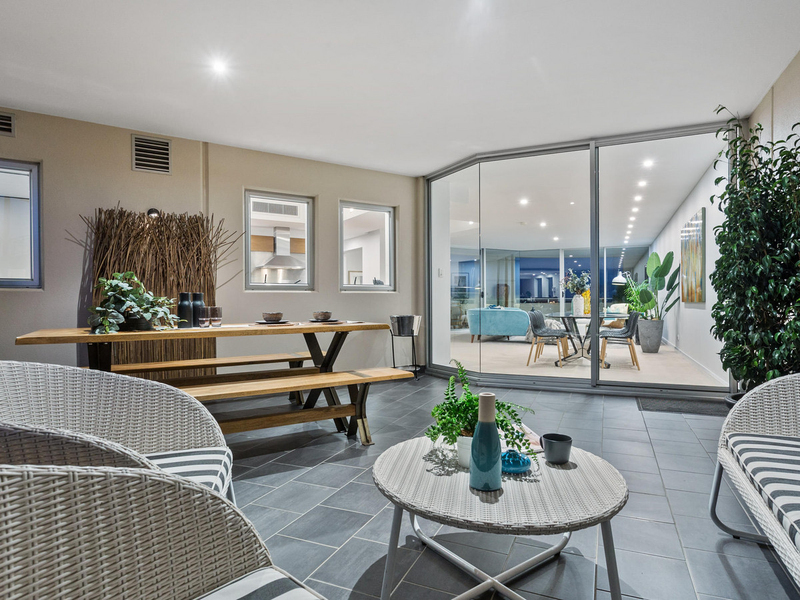 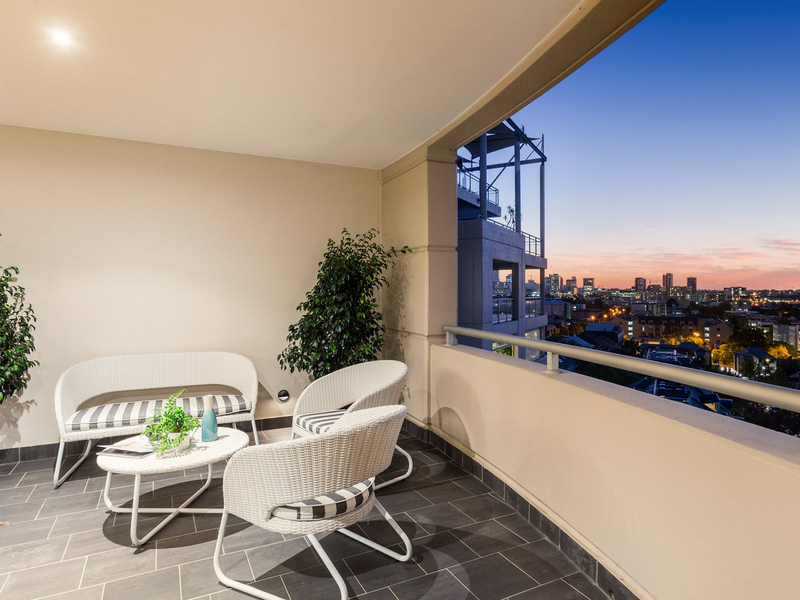 Combining an enviable sixth-floor position with one of the tallest - and most commanding - locations in the whole of East Perth, your aspect of both the city and Darling Scarp Ranges is on another level, with everything else in view simply just an added bonus. 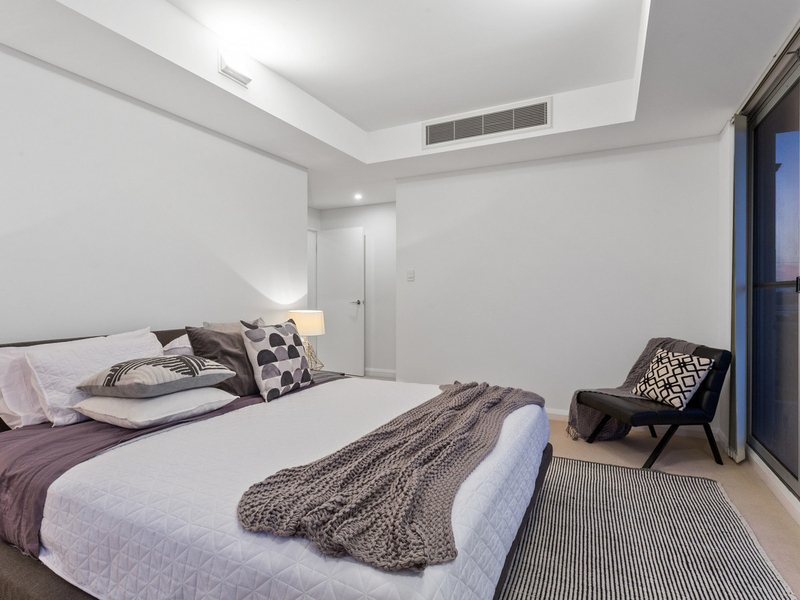 In terms of layout, the property is thoughtfully put together with its sumptuous master-bedroom suite rivalling that of any penthouse and comprising of a fully-fitted walk-in wardrobe, an extra cupboard, a private "third" balcony to wake up to every morning and a flawless ensuite with all of the trappings - including a huge shower, a bubbling corner spa bath, a toilet and twin "his and hers" vanities. 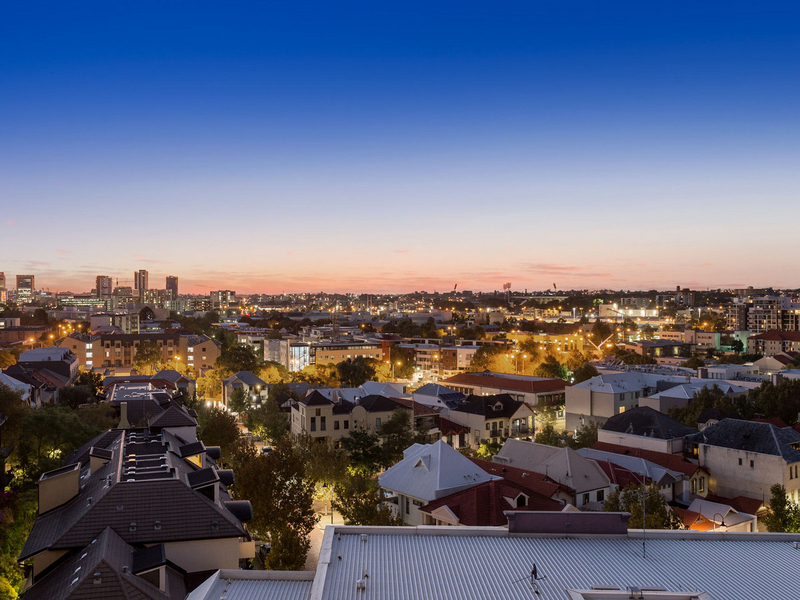 Not only will you get to indulge in arguably one of the area's finest residential developments of the last few years, but you will also be taking full advantage of easy access to gourmet local restaurants, fabulous coffee shops, trendy boutiques, free public transport and walkability to the shores of the picturesque Swan River, lush parks, cycle ways - as well as a handy proximity to the new Optus Stadium in Burswood. 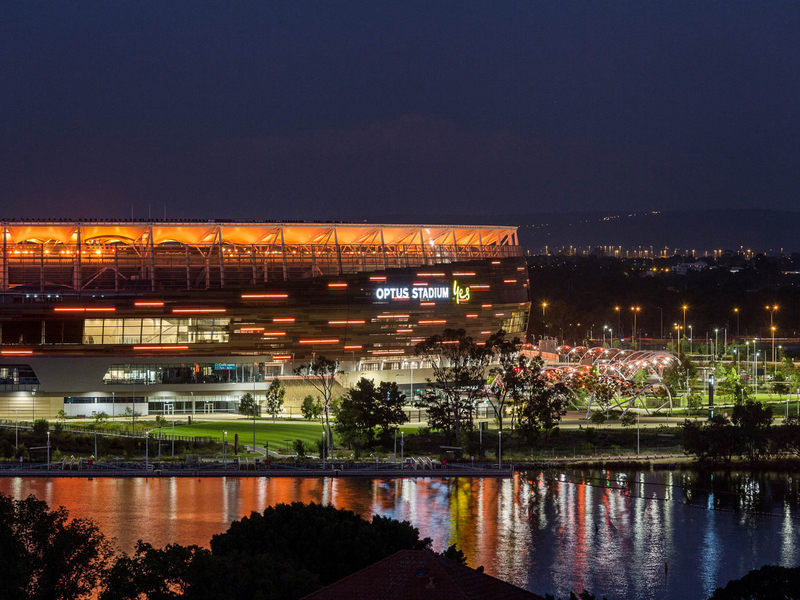 Absolutely nothing else compares!